FINAL SALE. We love it when we come across a simple, yet flattering classic top that can be worn with so many things--and this one is no exception! 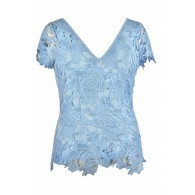 The Tie Side Crossover Top is fully lined and made of a soft flowy fabric. It has a crossover V neckline, wide shoulder straps, and a tie off to one side. A button closure at the front keeps this look together. The Tie Side Crossover Top is perfect for casual days when you want to look chic and put-together with minimal effort. Pair this top with denim or skinny black pants and some cute jewelry and you're good to go! Details: Fully lined. Button front. 100% polyester. Lining: 100% cotton. Hand wash cold. Lay flat to dry. No bleach. Small measurements: Length from top of shoulder to hemline: 24". Bust: 30". 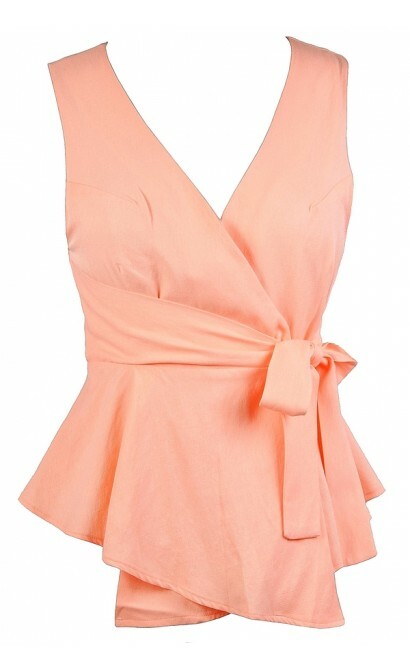 You have added Tie Side Crossover Top in Peach into Wishlist. 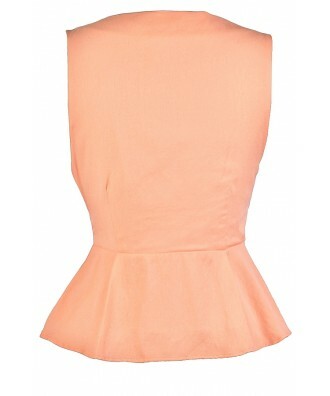 You have added Tie Side Crossover Top in Peach for Stock Notification. You have set Tie Side Crossover Top in Peach as a loved product. You have removed Tie Side Crossover Top in Peach as a loved product.